The 6th LUMS-HBL National Moot Court Competition 2017 was hosted by the Shaikh Ahmad Hassan School of Law (SAHSOL) and the LUMS Law & Politics Society. Ten teams from top law colleges of the country – Pakistan College of Law, Quaid-e-Azam Law College, SZABIST, University College Lahore, Premier Law College, Gujranwala, University of Karachi and International Islamic University, Islamabad participated in the competition. 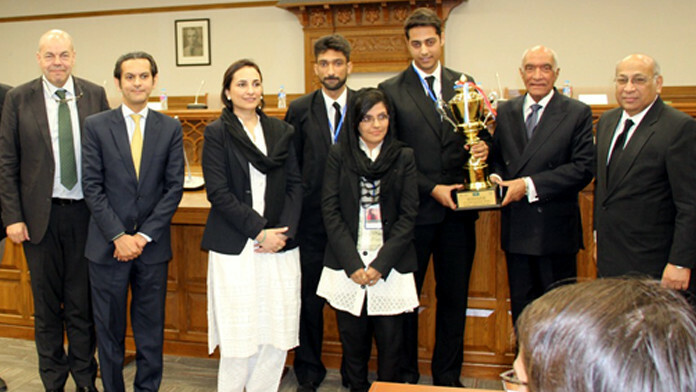 After two and a half days of intensive mooting, Quaid-e Azam Law College and SZABIST emerged as finalists. The moot problem for the final required participants to delve into a detailed study of the Constitution of Pakistan and the 18th Amendment to the Constitution particularly with regards to the concept of delegated legislation. All participants demonstrated excellent legal research and oral advocacy skills resulting in a highly competitive event. 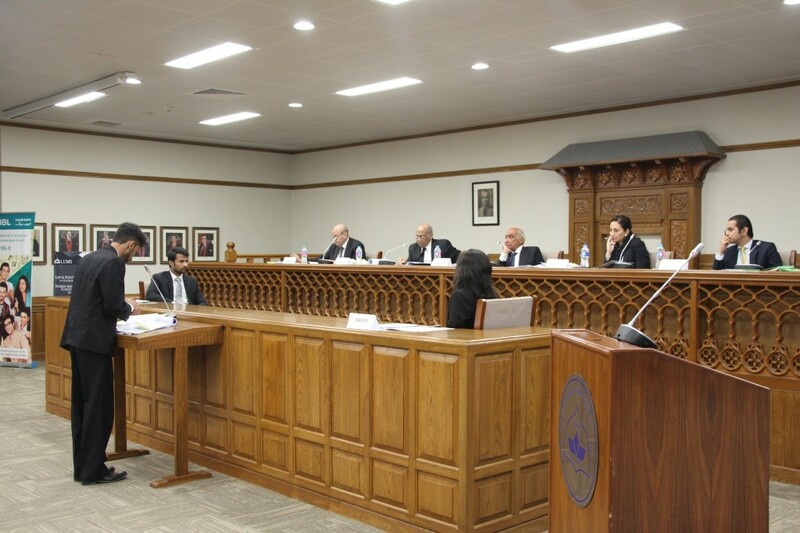 Speaker from Quaid-e-Azam Law College argues his case before the judges.